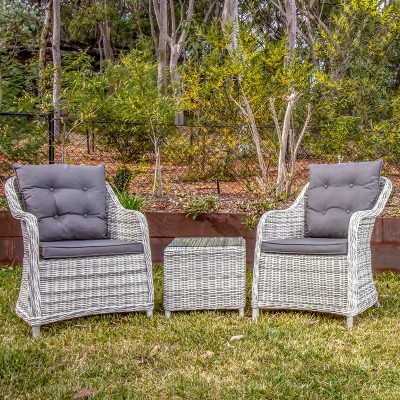 Whether you want to enjoy a cosy catch up with your loved one or just a simple relax enjoying a nice book or your favourite glass of red or bubbles, the new Penarth 3 Piece Chat Setting will keep you entertained for many years to come. 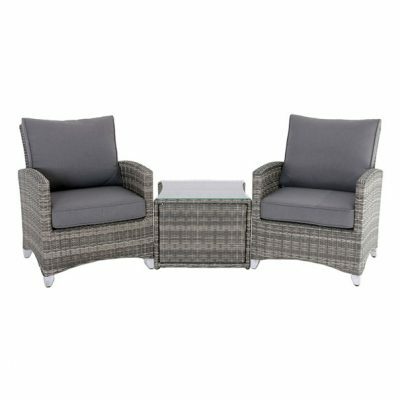 The Penarth range combines modern contemporary styling with premium comfort at an affordable price. 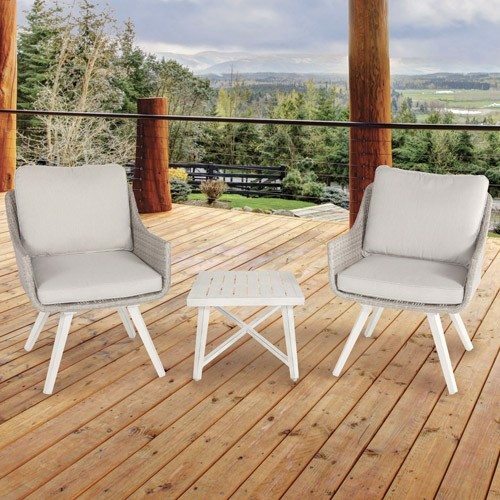 This outdoor setting features rust-proof aluminium frames, premium comfortable cushioning in Pale Fog olefin fabric with a quick dry & mould resistant dacron fill, contemporary style 9mm grey mottle wicker with stunning timber look brushed powder coated aluminium legs. 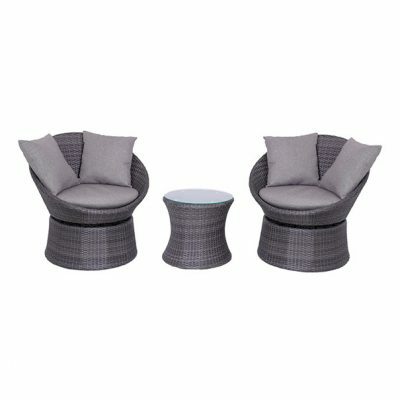 The Penarth 3 Piece Chat Setting includes 52.5cm square side table finished in the same timber look aluminum with a modern slat table top design.